Health Shared Services Ontario (HSSOntario) is an agency of the Government of Ontario that is accountable to the Ministry of Health and Long-Term Care. HSSOntario​ was created effective January 1, 2017 under Ontario Regulation 456/16 made under the Local Health System Integration Act, 2006 ("LHSIA"). As of April 1, 2015, specific governance documents and expense information for classified agencies must be posted on the classified agency or ministry website. HSSOntario is currently developing a number of its governance documents, such as its Annual Business Plan and Memorandum of Understanding with the Minister of Health and Long-Term Care. Once available, these documents will be publicly posted on HSSOntario's website. In compliance with the Ontario gove​rnment's Travel, Meal and Hospitality Expenses Directive, expense reports of HSSOntario's Board members, the Chief Executive Officer and members of the executive team who report directly to the Chief Executive will also be publicly posted and updated quarterly. On January 31, 2017, Dr. Eric Hoskins, Ontario's Minister of Health and Long-Term Care, made a transfer order under subsection 40(1) of LHSIA that transferred all assets, liabilities, rights, obligations and employees of the Ontario Association of Community Care Access Centres (OACCAC) to HSSOntario​. 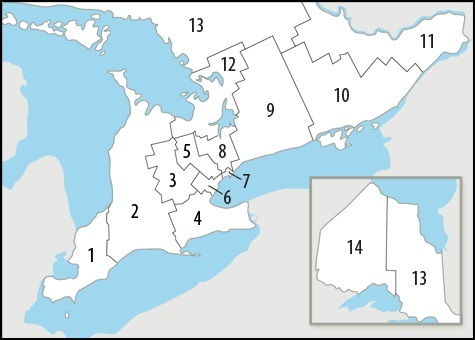 The Local Health Integration Networks Collaborative (LHINC) and Local Health Integration Networks Office (LSSO) were also transferred to HSSOntario. In the interest of full transparency, past corporate documents for the OACCAC, a predecessor organization of HSSOntario, such as annual reports and financial statements​​​​, expense reports​ and three year strategic plan​ are available as archived documents. Before being transferred to HSSOntario, LSSO and LHINC were departments within the Toronto Central LHIN. Past annual reports, business plans and expense reports of Toronto Central LHIN include LHINC and LSSO governance and corporate information.